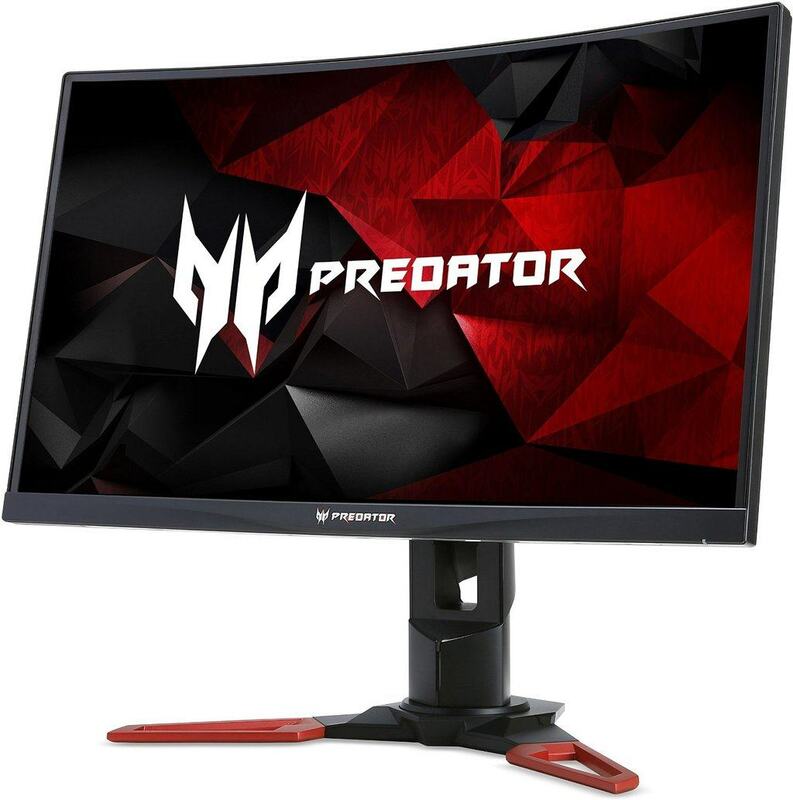 High-end professional gamers will now be able to play at 240Hz on a 27-inch gaming monitor as such rapid refresh rate was only offered on several 24.5-inch models, until now. Besides offering the stunning 240Hz at 1080p, the Acer XF270HA features AMD FreeSync technology for stutter-free performance without screen tearing and all the same goods available in other 240Hz gaming monitors. Based on AU Optronics’ TN panel, the Acer XF270HA offers the impeccable 1ms (GtG) response time speed which along the 240Hz refresh rate makes for the state-of-the-art performance in competitive gaming with zero ghosting of the fast moving objects. The Acer XF270HA 240Hz gaming monitor provides common TN-like viewing angles (170° horizontal, 160° vertical) though that won’t bother the players much. 8-bit color is supported through dithering (6-bit + FRC) while the brightness peaks at remarkable 400nits. 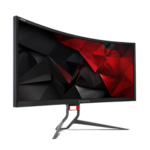 The difference between 144Hz and 240Hz is noticeable although not it’s not as critical as it is between 144Hz and 60Hz. So, see for yourself whether the difference is actually worth it according to your budget and gaming goals. 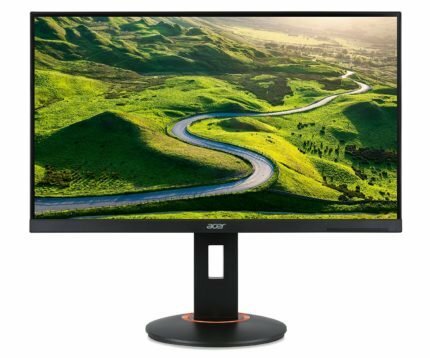 The only difference between the Acer XF270HA gaming display and the other 240Hz FreeSync monitors lies in the screen size. The Full HD resolution on a 27-inch display provides lesser pixel density which results in a more pixelated image quality. While this may repulse you due to the obvious lack of picture detail, it can actually increase your precision in certain FPS game as pixels are bigger. With a larger screen, you also have a broader field of view to spot your enemies more easily. The Acer XF270HA monitor offers a wide range of connectivity and ergonomic options. Connector ports are as follows: an HDMI 1.4, a DisplayPort 1.2, a Dual-Link DVI, and four downstream USB 3.0 ports. There are 2x2W speakers as well. The TN panel viewing angle issue is easily solvable if you wish to watch a movie from a distance, for example, as you can tilt the screen by -5, 35 degrees and match your position accordingly. Other ergonomic functionalities include 150mm height adjustment, 90° pivot, 60° swivel to the left and right, and 100 x 100 VESA mount compatibility. The Acer XF270HA is priced at €450 (~$535) and is currently (September 2017) only available in Germany and Great Britain; in the US, the price will most likely be lower once it’s released. 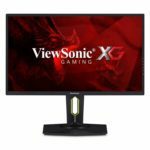 Other 240Hz gaming monitors are similarly priced as well which should give the competitive gamers a lot to choose from. The Acer XF270HA 27-inch 240Hz display is the perfect gaming monitor for those who are willing to sacrifice picture detail for a wider field of view and better precision. Those who prefer sharper image quality can stick to the already released 24.5-inch 240Hz monitors with Nvidia G-SYNC.